Lock in a great price for Friars Rest Guest House – rated 8.9 by recent guests! The room was secluded and comfy. Nice and warm and had a good en suite bathroom. Lovely hosts and excellent location. Friendly staff, excellent location, spacious room. Our downstairs room was capacious and convenient. The breakfasts were good value and efficiently served but the sausages were a bit poor quality. 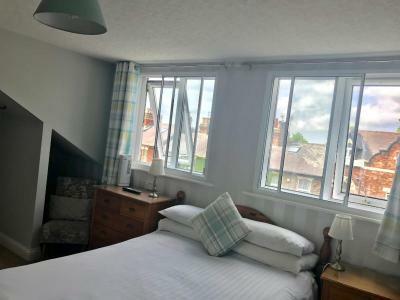 The property is conveniently situated within a decent walking distance of town and there seem to be plenty of buses if needed. Excellent location. Good value for money. Easy to find and park. Lovely and friendly staff. Made to feel very welcome. Rooms are very clean. Bed was very comfy and we had a huge TV in our room. Breakfast was very good too. The owners are very friendly and helpful. Breakfast is excellent. The place was terrific. Close to everything and plenty of room in the room. Steve was very welcoming and friendly. I had made a couple of special requests that were accommodated beautifully. The room was lovely and very comfortable. B&b met expectations 5 min walk into town. Staff very friendly and accommodating , room really spacious and clean.Definately will come back and stay here when we return to York . Very comfortable and clean. Lovely breakfast too. Friars Rest Guest House This rating is a reflection of how the property compares to the industry standard when it comes to price, facilities and services available. It's based on a self-evaluation by the property. Use this rating to help choose your stay! 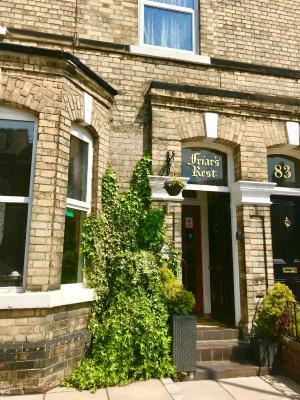 Located in York, within 1.4 miles of York Minster and a 9-minute walk of York Barbican, Friars Rest Guest House has free WiFi. Popular points of interest nearby include Cliffords Tower and Grand Opera House. York City Walls is 0.7 miles from the guesthouse and Bettys Cafe Tea Rooms is a 19-minute walk away. The rooms in the guesthouse are equipped with an electric tea pot. At Friars Rest Guest House all rooms include a closet and a flat-screen TV. Priory Church of the Holy Trinity is 1.1 miles from the accommodation. The nearest airport is Leeds Bradford Airport, 32 miles from Friars Rest Guest House. 뀐 Located in the top-rated area in York, this property has an excellent location score of 9.0! When would you like to stay at Friars Rest Guest House? Private parking is available on site (reservation is needed) and costs GBP 4 per day. House Rules Friars Rest Guest House takes special requests – add in the next step! Friars Rest Guest House accepts these cards and reserves the right to temporarily hold an amount prior to arrival. Please note that breakfast is not served on New Year's Day. The property does not accept American Express. Please inform Friars Rest Guest House of your expected arrival time in advance. You can use the Special Requests box when booking, or contact the property directly using the contact details in your confirmation. The interior was nice. Near to the river ouse which was a good venture out to the town too. Hit n miss reception on TV but REALLY - not an issue - we didn't plan a trip to watch TV! Fabulous hosts, very friendly, was made to feel very welcome. Excellent B&B near enough to York city centre to park up the car for a few days and walk everywhere. Steve and Marion were great hosts. Nothing really it was a great place to stay. Very friendly staff, very helpful and really clean guest house! Lack of seating in room. Bathroom rather tired. Proprietor’s friendly and helpful. Breakfast excellent. Everything was great the staff the location the room everything. I will be returning to the Friars rest at some point. Bed was a little hard for my preference. Mould on shower seal. Breakfast expensive. No shower gel. Friendly staff. 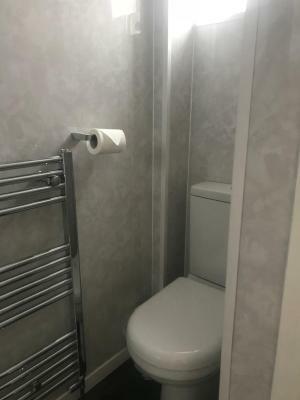 Value for money for accomodation.Location pleasant for river walk to town.